This Thanksgiving, get the kids to help you with the cooking. 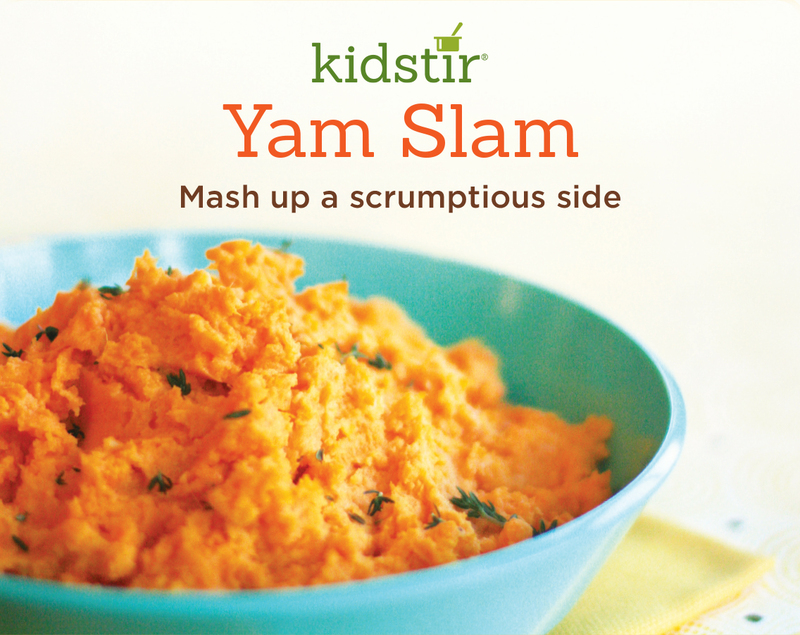 Mash up a scrumptious side dish with this recipe. Give it some extra flavor by adding roasted garlic, if you'd like. 1. A grown-up can help peel the yams. Then, slice them into 1-inch chunks. Place in a cooking pot and cover with water. Add a few sprigs of fresh thyme. 2. Bring the potatoes to a boil, then lower the heat and cook until soft, about 20 minutes. Turn off the stove, drain the water, and remove the thyme. 3. Add the cheese, cream, roasted garlic, butter, salt, and pepper. Mash it with a potato masher. Give it a taste test. Need more salt, garlic, or cheese? 4. Keep tasting and customizing the flavor until you are happy with the taste. Garnish with snipped fresh thyme. Serve warm.